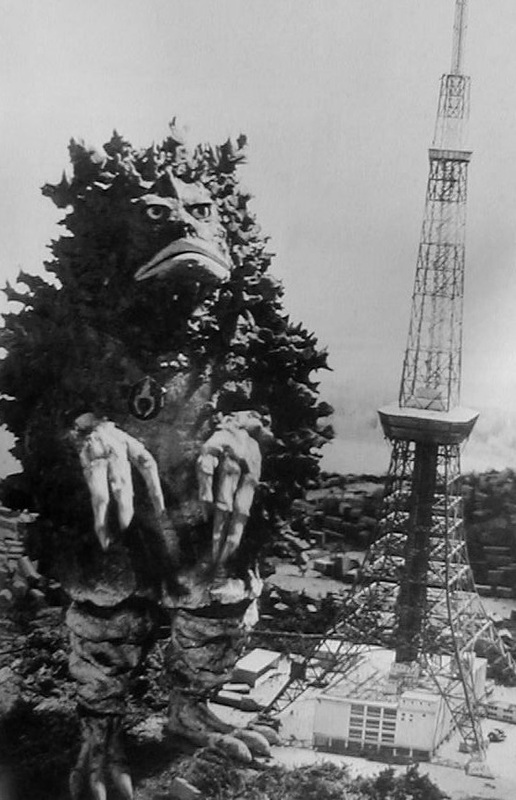 The first Garamon appeared when a Garadama crashed in the wood near a small village. A Garadama is a small meteor that Cicada Humans of Planet Q send out into space to discover other planets that they can inhabit. When the Garadama crash into a planet it signals the Cicada humans to launch larger Garadama which hold Garamon. The Garamon are then controlled by the signal given of by the Garadama. The first Garamon to land on earth was only active for a short time but it was enough time for it to destroy a village and large dam and that was only one. It was stopped with a signal dampening cage covering the garadama as soon as the Garamon lose signal to the garadama they die. The second encounter with Garamon occurred when a ship of Cicada men actually came to earth disguised as humans and stole the garadama from the signal dampening cage. This time multiple Garamons hatched but in the heart of Tokyo. This time with the garadama stolen it took time to find the cicada men and cover the garadama. The Garamon pretty much leveled Tokyo completely leaving mass destruction in there path. The garadama was finally covered but the destruction caused by the Garamon was torrential this time. The cicada men never returned again and nether did there Garamon. Although years later a much smaller kaiju spieces was discovered in the Monster Lawless zone known as Pigmon. It is theorized that the Cicada Human's used a Pigmon or a Pigmon's dna to create their much larger android Garamon there is no evidence that proves this theory, but I would say it is a strong theory.